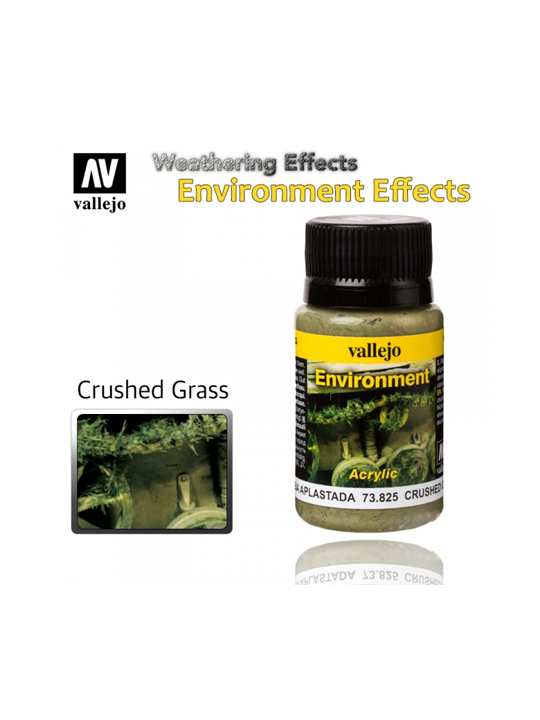 Vallejo Weathering effects: a series of atmospheric pigments formulated for recreating the effects of the elements of nature on vehicles, armor, buildings and terrain. For example, the effects include grass crushed under the wheels of a truck or the traces of a tank, the remains of dirt that spoil the windows of a vehicle, the humidity and the appearance of mosses and lichens on stones or rust, snow and vegetation crushed and mixed with mud on the roads. The elements of nature and the effects of time are recreated in this range of products we must say incredibly special, perfect to provide the modelmakers with fast, easy to use and very realistic tools.